The same luxurious flat top as our Jumbo Flat Top - just smaller! Perfect purse and travel size. 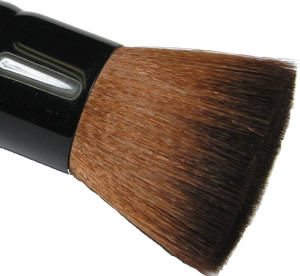 Brush length is approximately 3 1/2 inches with a 1 1/4 inch wide brush head.